Successfully jailbroken your device and looking for some great iOS 7 compatible jailbreak tweaks to customize your device’s layout? Here are a few superb iOS 7 jailbreak tweaks to help you customize your iDevice to the next level. 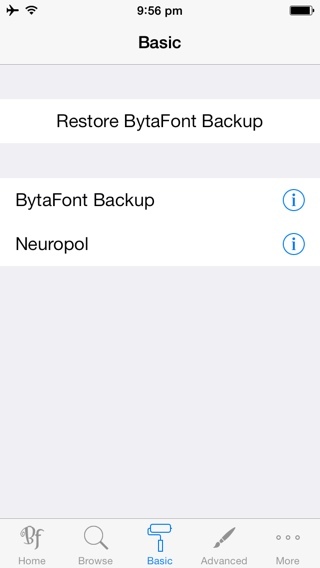 Launch Cydia and search for BytaFont 2. Tap on BytaFont 2 from the results and tap on Install. Once done, download the fonts from Cydia. Launch Cydia again and tap on Sections tab. Scroll to Fonts (BytaFont 2) and install any fonts from the sub-section and install. Once the font is installed, go to BytaFont 2 from the home screen and tap on Basic. You will see here your installed fonts. Tap on any of them and confirm. Ta da! You must have noticed many tutorial writers using a pacman instead of carrier logo in the screenshots. Do they replace it after taking screenshot? Nope. It is a simple and easy tweak from Coco91 that replaces your carrier logo to PacMan. Coco91 developed Pac-Man eats Signal Dots package can be found in the ModMyi repo. Pac-Man eats Signal Dots includes four different types of logos. This package installs Zeppelin iOS 7 tweak – if not already installed. To get it, install the package. Then go to Settings > Zeppelin > Theme, and select Pac-Man 1 from the list. Another amazing “hey look, my device is jailbroken” type of iOS 7 jailbreak tweak is HomeScreenDesigner. This iOS 7 jailbreak app changes the layout of icons on the Home screen giving the UI a deserved different and customized look. HomescreenDesigner iOS 7 is definitely a lovely jailbreak tweak as it doesn’t impose any choices upon you. You can do whatever you want with your device’s layout. 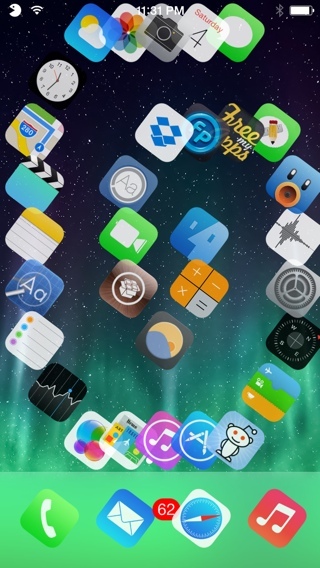 Doubtlessly one of the best iOS 7 tweaks, you can get HomescreenDesigner for $1.99 from Cydia. Only bad thing – it is not yet compatible with A7 iDevices. Launch the HomescreenDesigner tweak and it will open up the Home screen layout maker. The lay out maker lets you create a new custom layout for your Home screen. Start your custom layout by first deciding how many apps you want to add to the Home screen. Then tap on the + button to add the icons. You can add these icons both in grid layout and any other free-form layout. Tap and drag on the icon to move it anywhere you want. After you have created your custom layout, tap on Save button to save your layout. 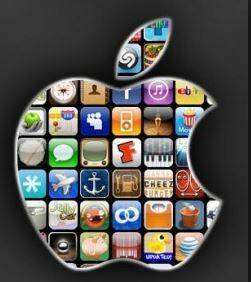 You can also choose you use any custom layouts created by HomescreenDesigner users. Go to Uploaded tab and apply any of the layout to your Home screen. Note: to add more than 20 icons to your layout, you can install Bigify which shrinks the size of icons and also hides the labels to create more space. Three of the Top Updated iOS 7 Jailbreak Tweaks – Keep ’em coming!